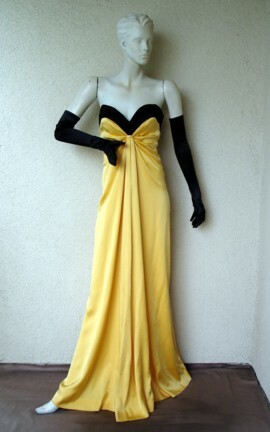 Original Couture evening gown by Yves Saint Laurent circa 1980's. 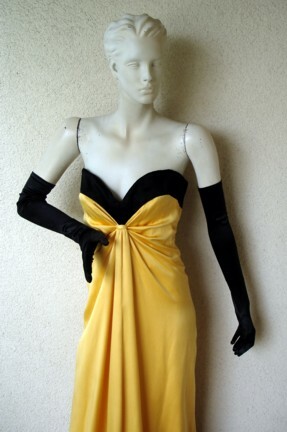 Fashioned of a rich daffodil silk charmeuse gathered at strapless bodice and dropped into a bias cut "A" line style. Fully lined with light boning and padding at bustline. Side zipper closure. 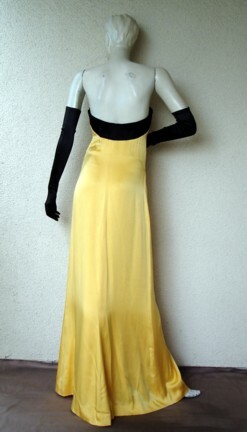 bust: to 35"; waist: 33"; hips: approx. 45"; length: approx. 56"